NUPI is coordinating the TaxCapDev network, which brings together Norwegian researchers and experts to strengthen the sharing of knowledge on illicit financial flows, taxation and exploitation of natural resources. Illicit financial flows make up a money flow that continues to increase. These problems, and the challenges of effective solutions to these problems, were discussed at meetings in Norad in Oslo and in Chatham House in London, this spring. The TaxCapDev-network summarizes the main points here. The efforts to address illicit financial Flows have failed tremendously. In the last couple of years many new regulations and international cooperation conventions have been created. The problem lies hoewever not with implementation, but with effective execution of the regulations. At the meeting in Chatham House, it was higlighted that out of the 194 countries that had implemented Counter-Terrorism f (CTF) measures, only 30 had implemented the necessary strengthening of law enforcement and prosecution. – The western world created the shadow financial system that facilitates the movements of illicit flows, like tax havens, was stated at the Chatham house meeting. The high degree of secrecy was discussed as a major challenge in both Oslo and London. Proposed measures on this, were the traditional proposals, country-by-country-reporting (CbCr), beneficial ownership registers and automatic information exchange. The meeting in Oslo consisted of mainly representatives from Norad, Norwegian authorities and some NGOs, and among these existed a general agreement on the presented measures. However in London, several of the worlds biggest banks were represented. This led to more debate about regulations and the proposed measures (CbCr, so on) than in Oslo. One bank’s representative explained how the bank had to increase full-time employees working only with compliance from 500 to 2400, only during the last couple of years. According to the representative, these employees are merely doing ”box-ticking exercises”, which leads to a distortion of bank resources; they’re not focusing on what really counts. This was perceived as a general agreement among the banks. At the same time they stressed their willingness to help, and that they in several areas stretched their efforts further than the minimum requirements. Several stressed the work they were doing in tracking terror-related financial transactions. In several cases these have been invaluable in the mapping of terror networks. Counter-terror measures were especially emphasized regarding the banks’ future roles in the fight on illicit financial flows. Even though strengthening of law enforcements, use of sanctions and prosecution would probably curtail tax evasion and corruption, this would not have the same effects when it comes to stopping terrorists. And as terrorist organizations are embedding themselves further into the international financial system, the role of the banks as observers of capital flows will be of great importance in the time to come. There were however not much discussion regarding the role of banks and tax evasion. This was interesting considering how banks became known as facilitators of tax avoidance and tax evasion through LuxLeaks and Panama Papers. Here they were criticized a lot for their lack of intervention, and sometimes even direct organization, when it came to tax evasion. The lack of discussion could probably be attributed to the composition of attendees at the event. At the same time as there was not much discussion in Oslo due to lack of private actors attending, the small amount of criticism towards the role of banks could be attributed to the very small amount of NGOs attending the Chatham House meeting. Even though both meetings stressed the importance of increased cooperation between different entities, the challenge of this was illustrated clearly in the composition of the two meetings themselves. 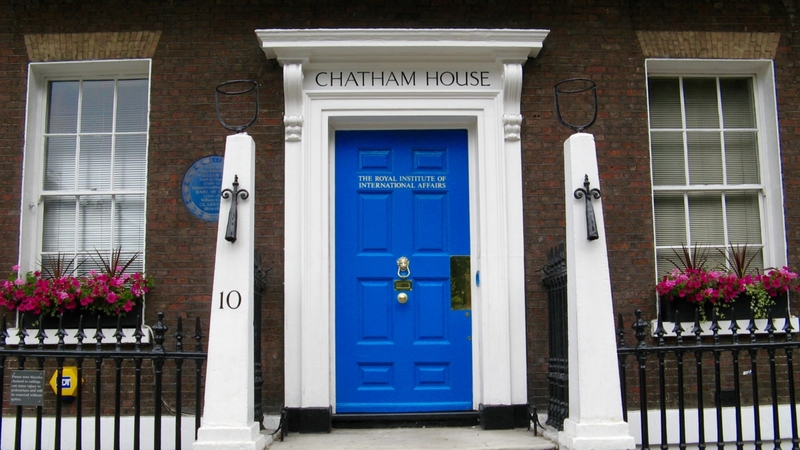 As no private actors attended the Norad meeting, and very few NGOs attended the Chatham House meeting, there was not enough discussion about the traditional measures proposed, and the role of banks in tax avoidance and evasion. The participants and speakers at the two meetings did however agree on the importance of increasing resources to law enforcement, and strengthening of prosecution measures. In addition, better cooperation between decision makers, private actors and NGOs is needed. This is a prerequisite in order to create an holistic picture of the challenge that is illicit financial flows, which in turn will help create agreement and coordination on solutions that actually are effective in stopping illicit financial flows.